When we bought our first RV, we thought we really, truly loved the style and the floor plan. However, after living with it for a season or two, we discovered some aspects that truly bothered us. As newbie RV buyers, these items weren’t even on our initial list of things to consider. We were more focused on having a functional, attractive interior and exterior. We aren’t the only ones who learned this the hard way. When shopping for an RV, it can be hard to tell what features matter in the long run. Here are the things that are most overlooked by first-time RV buyers. Many buyers opt for a smaller RV for their first rig. In order to fit all of the essentials into a small RV, manufacturers often sacrifice floor space. You’ll find beds tucked in corners or snug against the walls, leaving no room to walk around them. While this doesn’t seem problematic at first, many campers soon grow weary of climbing over each other to get in or out of bed. Plus, making the bed is immensely harder when you can’t walk around it. Before purchasing an RV, we recommend you settle in for a pretend snooze and practice making the bed—no matter how awkward you feel about doing so at the dealership or RV show. If you never stayed in an RV for an extended period of time, you have no real concept of how long it takes to empty your freshwater tank or fill your black and gray water tanks. However, after your first long weekend away from home, you’ll suddenly realize just how important tank size is. When looking at a floor plan, don’t forget to compare the tank specs for similar models. This is especially important if you plan on dry camping or staying in state and national parks without full hookups. Some RVers are happy to use the campground comfort stations, but if you want your rig to have all the conveniences of home, you’ll want ample-sized tanks. At first, many families are fine with sharing a cozy space in an RV, no matter how small it is. After all, it’s better than a tent. However, if you’ll be spending 20-30 nights or more in your RV with your family, you might find yourself wishing for a little more privacy. In some floor plans, the master bed is integrated into the living space or separated by a thin curtain. When buying an RV, don’t discount your desire for some privacy. If it’s important to you, you’ll want a master bedroom with a real door. When touring RVs, you’ll be in and out of hundreds of models. You’ll soon get a clear idea of your floor plan preferences. However, people don’t often think to tour units with the slides in. Why would this be important? Most RVers like to access parts of their interior while parked. Maybe you want to make a roadside stop to prep lunch or take an emergency restroom break, or perhaps you want to pack for trips without putting the slides out. Whatever the case may be, you’ll find yourself in your closed RV more than you would expect. A bathroom is a bathroom is a bathroom, right? Wrong! RV restrooms vary greatly in size and amenities. While it might feel silly to sit on the toilet or hop in the shower of an RV at the dealership or RV show, do it anyway. Just trust us. You might find the space impossibly small or uncomfortable. 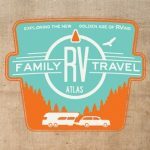 When touring RVs, people often look for places to sleep, cook, and gather. Something else you want to dig into is the storage space. Some RVs don’t include drawers in the kitchen, and some don’t have a place to hang clothes. Others might be lacking in spots for your outdoor toys and gear. We recommend thinking through your packing list and mentally looking for places to store your must-haves. If you don’t yet have a packing list in mind, pull one up online. When touring RVs, it’s easy to get caught up in the allure of glamorous bling, like faux fireplaces and massaging recliners, but in the long run, it’s the little things that make camping in your rig more enjoyable and more comfortable. Keep the bling in check, and focus on this list of specs and features that REALLY matter when buying an RV.